3RW arkitekter and NORD Architects from Copenhagen won the competition for the design of a new healthcare center in Randaberg, Norway which is designed to be like a modern hamlet. 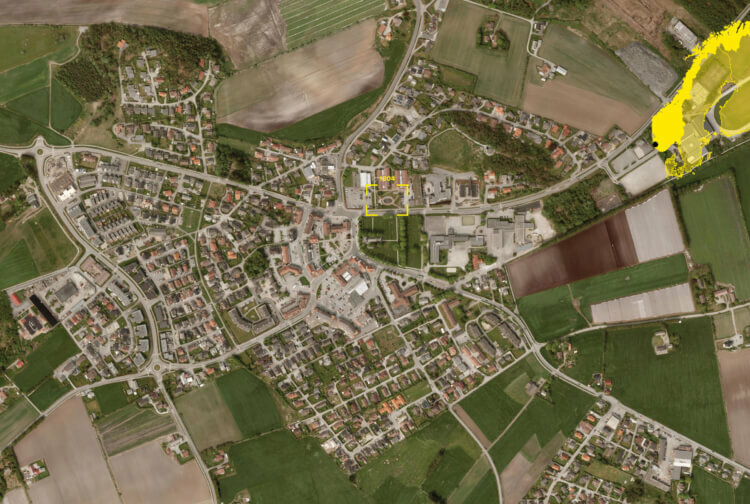 The New Vardheim Helth Center in Randaberg is inspired by the old type of Norwegian hamlets called a “grend”, where a small cluster of houses create a micro community. The center will accumulate the various healthcare programs and, with its green courtyards, create a green walking path between the town and the facing mountain. With the existing buildings on the site, the center will constitute a unique architectural interaction and an innovative concept for contemporary institutional buildings. With the existing buildings on the site, the center will constitute a unique architectural interaction and an innovative concept for contemporary institution buildings. The vision is to create a new typology that will organize one of the most important welfare tasks in society and cover all aspects of the healthcare terminology. The idea of a hamlet where the well-being of home and treatment accommodations of a big institution are mixed, will inspire future institutions. The new healthcare facility offers a broad range of different treatments under one roof from nursing homes to doctors’ consultations and therapy. The building measures 13 000 m2 but seems much smaller thanks to a design where the building is scaled down into smaller entities. Each house in the building is built with natural materials and offers a homely atmosphere. A solid base in natural stone connects the houses like the stone fence in the local west coast landscape. The rest of the materials are almost exclusively built in wood. Between the houses a myriad of courtyards, recreational gardens and greenhouses define a green and welcoming atmosphere.